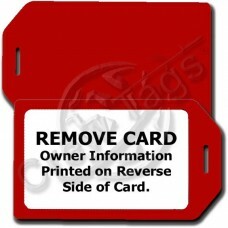 This Red Business Card Holder Luggage Tag holds a White PVC insert that is printed with up to 5 line.. This Red Business Card Holder Luggage Tag holds a Yellow PVC insert that is printed with up to 5 lin.. This White Business Card Holder Luggage Tag holds a Blue PVC insert that is printed with up to 5 lin.. This White Business Card Holder Luggage Tag holds a Metallic Gold PVC insert that is printed with up.. This White Business Card Holder Luggage Tag holds a Green PVC insert that is printed with up to 5 li.. 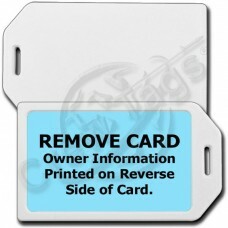 This White Business Card Holder Luggage Tag holds a Light Blue PVC insert that is printed with up to.. This White Business Card Holder Luggage Tag holds a Red PVC insert that is printed with up to 5 line.. This White Business Card Holder Luggage Tag holds a Metallic Silver PVC insert that is printed with .. This Yellow Business Card Holder Luggage Tag holds a Blue PVC insert that is printed with up to 5 li.. This Yellow Business Card Holder Luggage Tag holds a Metallic Gold PVC insert that is printed with u.. This Yellow Business Card Holder Luggage Tag holds a Green PVC insert that is printed with up to 5 l.. This Yellow Business Card Holder Luggage Tag holds a Light Blue PVC insert that is printed with up t.. 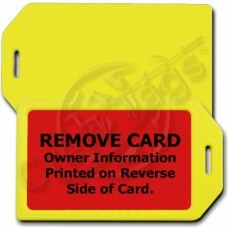 This Yellow Business Card Holder Luggage Tag holds a Red PVC insert that is printed with up to 5 lin..